There is a delivery charge of $2 per order, with a minimum purchase of $15. We can deliver any of our food items. We only deliver 2 liters of Coke, Diet Coke, Sprite and Root Beer for drinks. We cannot deliver beer or wine. Limited delivery area, delivery times are based upon location and current business conditions. 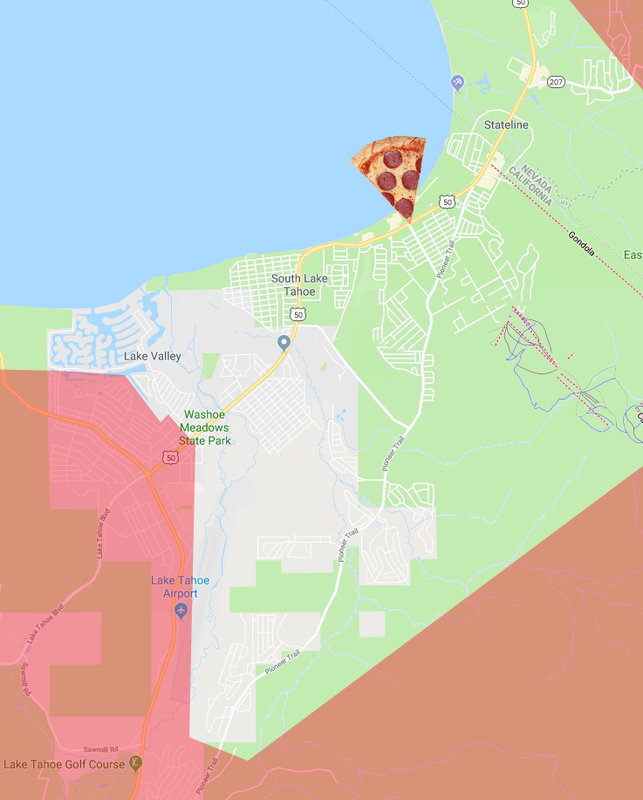 Please click on the map for delivery area. Unfortunately, we do not deliver to Meyers, Round Hill, Zephyr Cove, the ‘Y’ or the top of Kingsbury. We accept cash and credit/debit cards over the phone while ordering. We do not accept checks.